Love stories are a rage among the readership audiences, for everyone likes to read about protagonists fighting all barriers and finding eternal love. Even when the lovers remain separated and can’t be together, the notion of the courageous spirit of the lovers and the conviction of the perpetuity of love trumps all. 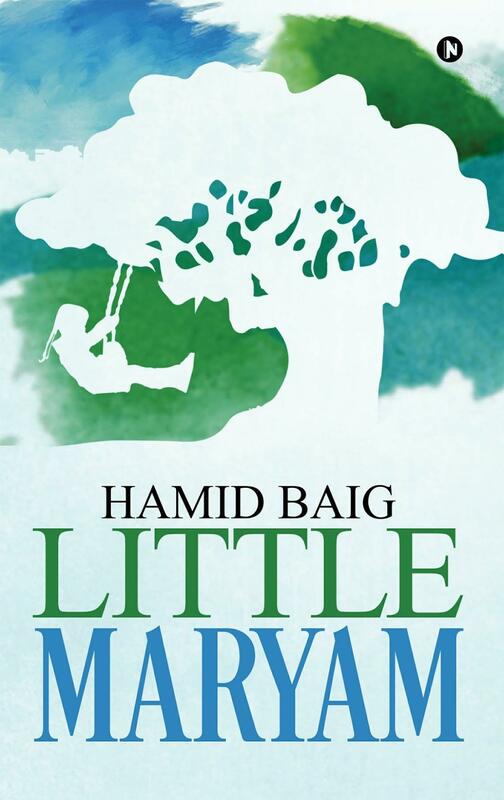 The author Hamid Baig comes up with such a book “Little Maryam”, which is a compelling emotional love story, albeit with an element of twist in the end. The book cover is a mix of soothing pastel blues and greens, and shows a little girl swinging a swing put on a tree. Looking at the front cover, one will gather that this little girl is Maryam, but not the significance of the cover to an adult love story. However on reading the book, its significance comes to the fore as in their childhood, Saadiq and Maryam had a playing spot in the hills near a banyan tree, where they spent long hours in the lush Dehradun greenery. Maryam used to love swinging on a swing there and Saadiq considered that swing exclusive for her. This portrayal brings a certain sincerity to the complex narrative of the book, which is brimming with pent up emotions and other thrilling references and instances. The blurb on the back cover is written well and gives a good glimpse into the story. The book is divided into two parts, and the storyline details an endearing love story of Dr. Saadiq Haider and Maryam. Saadiq is a professor at Stanford University and a genetic scientist. While giving a speech for his Nobel Prize nomination, he receives a phone call that changes his life. He hurriedly boards a flight bound for India, and seated next to him is the journalist Anne Miller, who wants to get some sensational bite for her newspaper. Saadiq tells her about his childhood love Maryam and his love story that is tested when tragedy strikes. But now Maryam is in the hospital and her condition is critical. Months later, Anne learns that after Maryam recovered, Saadiq took her back to America where they eventually married. But her assumption that the greatest love story she had ever known would end happily, is absolutely shattered. What are the twists that happen in this difficult love story? The storyline then goes on to answer this question. Though the book has a small coterie of characters, all of them are portrayed in depth and their emotional trials and tribulations strike a chord with the readers. The characters of Saadiq and Maryam will remain with the readers for a long time after they’ve read the last page. The writing style is great, and considering that this is the debut book of the author, the narrative is weaved well with many refreshing and imaginative lines. The first part struggles somewhat, but the pace and writing are amazing in the second part. There are also a few editing glitches which should be corrected in the second edition of the book. This is a book that should be read for its unflinching depiction of an emotional love story, with realistic elements of sacrifice, envy, intimacy, passion, endearment and soulfulness thrown in. This poignant tale will surely delight book lovers, and fans of zealous love stories and sentimental relationships will savour this sensitive but convincing portrait of love transcending everything else.